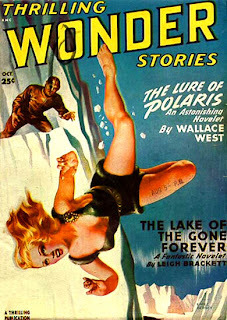 "The Lake of the Gone Forever"
So... come to the "Brackett's SF Parlor" for some fictional spa work: rejuvenate your sense of outre, tickle your "hot" points of grotesque and sojourn in a land of perfect male heroes and super-sensuous females... for a while. No regrets, too - you know, it is good for you. All that being said, this novella differs from the usual vein: it has a significantly more interesting planetary ecology, more realistic adventures and a toned-down plot (rooted in the way people actually behave). 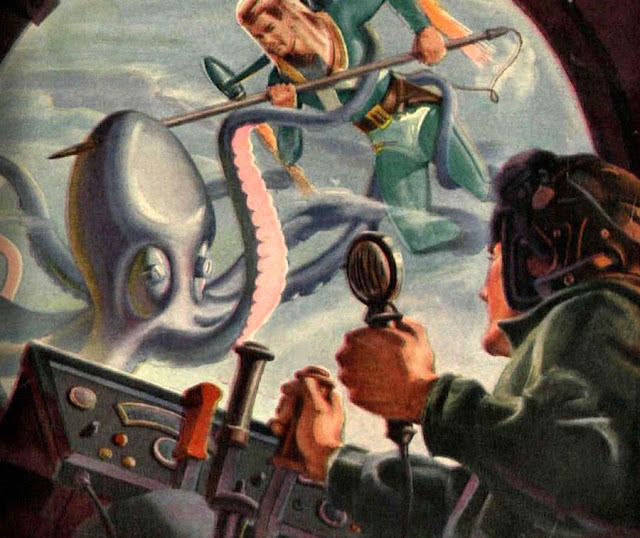 Thus, it reminds me more of Edmond Hamilton fiction (maybe he played a hand in this, you never know with such husband-wife writing teams) "The Lake of Gone Forever" is one of the most visually exciting pieces that Brackett ever wrote: much of it is placed among understated Antarctic-like landscapes, but there is no lack of cool alien stuff, either: mysterious cities, weird alien legends and serene warriors skillfully scattered throughout the plot. Essentially, this is a story of a haunted man, wandering the streets of a strange city, love-struck or love-doomed (depending on the emotional stance you're in). 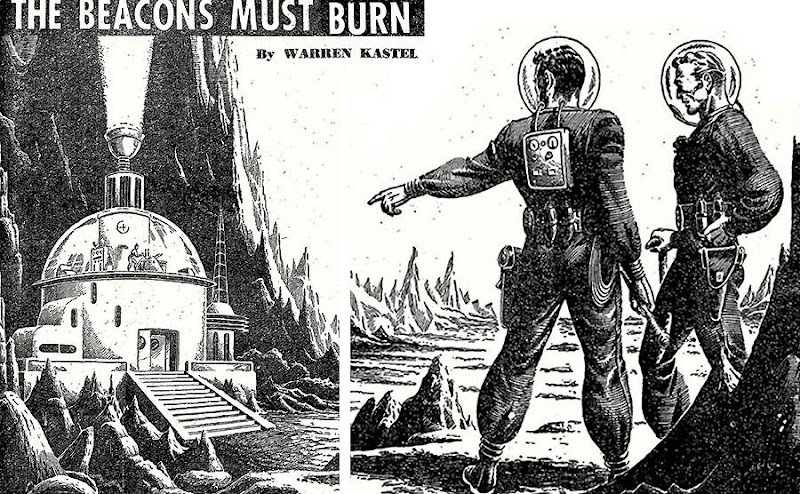 Brackett always wrote best about the "lone ranger" characters; here, too, she transcends the simple pulp approach, giving it a noir, foreboding air - all among the stunning planetary landscapes and sizzling adventure. What more could you possibly ask for a dark misty evening with a book in one hand and spiced rum in another? One word - "Intense". This is great entertainment: romance of a lone beacon watch on a godforsaken planet, mean tentacled aliens, Space Rangers vs. Space Pirates secondary plot (though this sub-plot is not developed, the characters of space cops are memorable nonetheless), mighty weapons and a "Die Hard" sort of desperate explosive action at the end. Perfectly pulpy, and perfectly awesome in its unashamedly predictable way. So far this is the best story by Chester S. Geier that I've read.